Since 2008, Valcon General, LLC has been providing professional AZ contracting services in the area of residential remodeling and commercial tenants’ improvements with a detail to excellence and unmatched quality workmanship for clients all across the greater Phoenix area. 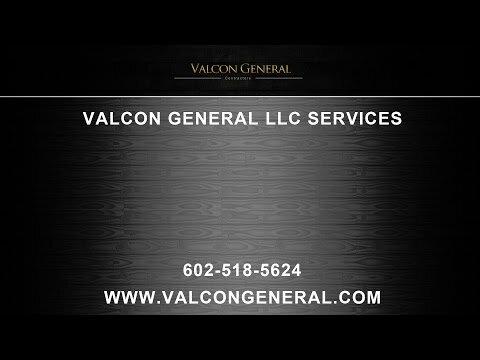 Whether your construction project consists of a residential remodeling or a Phoenix commercial tenants’ improvement project, Valcon General has the experience and expertise to make sure your project is completed not only in a timely manner, but with the client’s satisfaction as Valcon General’s first concern. Valcon General brings a combined forty-plus years of contracting experience in addition to a continuing commitment to provide their clients with unmatched expertise in the quality of their work, which is evidenced by the large amount of business being generated by clients referring their friends and family to Valcon General for their contracting needs. The premise on which Valcon General was built was to provide our residential and commercial clients with extraordinary customer service, attention to every detail, only using superior materials, top-notch and experienced sub-contractors, and performing all work on time with an enduring quality in workmanship. Please note that all sub-contractors that Valcon General utilizes for their construction work are fully licensed and insured and have been fully vetted by us to make absolutely sure they have the experience and professionalism to make sure the project is completed to the client’s satisfaction. Valcon General offers a full menu of interior and exterior AZ remodeling including kitchens, bathrooms, room additions, guest houses, complete home remodeling, patio remodels, and commercial tenant’s improvements, office remodels, and new commercial buildings. At Valcon General, we understand that the only true way to a successful Arizona kitchen remodeling project is by taking the time necessary getting to know what our clients envision what their remodeling project to look like and doing everything possible to make that a reality. We encourage our clients to ask questions, and we want them to be thoroughly involved in the remodeling process. At Valcon General, we pride ourselves on ensuring that all of your concerns are properly addressed before any project is started. We want to ensure that your project goes as smoothly as possible, and since our firm offers such a vast range of remodeling options along with professional, experienced and insured sub-contractors, we are very confident that you will be completely satisfied and will recommend our services to your friends and neighbors. With our attention to detail, our commitment to always putting our customers first, and using only top-rated materials and appliances, we are very confident that your experience in dealing with our company on your next construction project will be a very pleasant one. So if your future construction plans include an Arizona bathroom remodel, kitchen remodel, patio remodel, complete home remodel, office remodel, office build out, or new commercial building, we encourage you to work with the experienced and professional remodeling contractors at Valcon General. We are very confident that after working with Valcon General on your next construction project, you will be referring us to your family and friends. We look forward to hearing from you soon.